Fable 4 is possibly the single biggest request that Xbox executives such as Phil Spencer, Mike Ybarra and Aaron Greenberg get from fans on a daily basis via Twitter and elsewhere. The RPG series set in the whimsical fantasy world of Albion (originally created by Peter Molyneux) used to be a staple of the Xbox brand, but it has lain dormant for a long time now. The last mainline entry, Fable III, launched in 2010 and we all know how Fable Legends was abruptly canceled, which led to the subsequent closure of Lionhead. Head of Xbox division Phil Spencer said at E3 2016 that there could be a future for the Fable IP, though, and hopes of a Fable 4 have been rekindled earlier this week thanks to the Xbox Live API leak which mentioned a Fable related projected codenamed Wisdom being developed by a UK based studio. 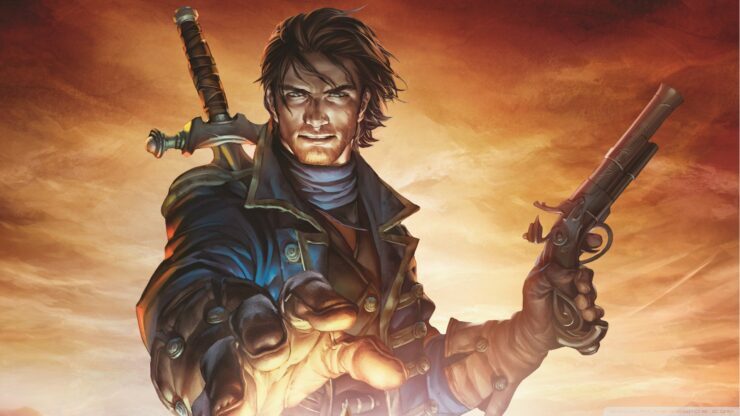 Today, former Lionhead Lead Engine Programmer Don Williamson mentioned on Twitter that he figured out which studio received the assignment to build Fable 4, commenting that it’s an interesting choice. When asked by yours truly whether this team was located in Brighton, East Sussex; according to Williamson, though, no studio based in Brighton could take on such a massive task. there's nobody here in Brighton that could take on a task of that magnitude. We know that Studio Gobo’s Electric Square is working on a game for Microsoft Studios. However, Electric Square is based in Brighton so by this logic they could be working on something else, perhaps on a smaller scale. The other major candidate for building Fable 4 among UK studios is none other than Playground Games. They’ve been openly recruiting developers on their website for a triple-A open world RPG and obviously, they have a great relationship with Microsoft having successfully developed the Horizon spin-off Forza franchise – in fact, Forza Horizon 3 is the only 90+ rated game on Metacritic published by Microsoft Studios during this console generation. One argument that’s been brought up against this possibility is that past openings mentioned “an entirely new AAA open world action RPG” and some had assumed this would mean a new IP. But the latest opening for Senior Game Designer replaced that “entirely new” label with “exciting, large-scale”. You’ll join the team and the project at an early stage, giving you the rare opportunity to shape the future of an exciting, large-scale open world action / RPG AAA title from the outset. This would be the first action RPG game to be made by Playground Games, which could explain why Williamson would think it’s an interesting choice, so to speak. Fable 4 would be a massive undertaking for anyone and even more so for a studio that still needs to prove itself in this genre. Then again, it’s all about recruiting the right talent for the job. Guerrilla Games did exactly that for Horizon: Zero Dawn and it worked out wonderfully for them; Playground Games also hired industry veterans who’ve worked on action/open world games like MGSV, GTAV and Hellblade, which is encouraging. Needless to say, there has been no official confirmation of Fable 4 yet from Microsoft, though the clues are certainly intriguing at this point. An announcement could happen at E3 2018 in June, but fans shouldn’t expect to play the game anytime soon if Playground Games is indeed developing it as they’ve made it very clear that the RPG project is still at an early stage. We’ll be following any rumors, leaks and official news on this potential comeback. Stay tuned.